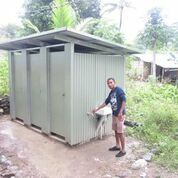 The Timor Leste project is a fabulous project supported by Rotary Hawthorn and has succeeded in obtaining a Global Foundation Matching Grant. The Timor Rotary Consortium consists o f the following Clubs:- Camberwell (lead Club), Chadstone/East Malvern, Glenferrie, Hawthorn, Malvern, and Prahran. One of the very powerful benefits of the project is the fact that it has succeeded in getting so many clubs to come together to make it a reality. I think that very positive contribution, strengthening the bonds between us, is an enormous plus for the project, in addition to the undeniable benefits it brings to the school children of Timor Leste. The project is a result of Clubs working together but we would like to acknowledge in particular John Walmsley and Vijay Susaria (from RC of Camberwell) whose leadership, commitment and drive have made this project a reality. The first team from the Timor Rotary Consortium comprised John Walmsley (RC Camberwell) Rod Kenafacke (Pres RC Chadstone/East Malvern) and Abilio from the RC of Dili Lafaek. 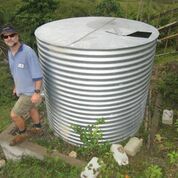 With local co-operation the team completed its objectives of installing three Water Tanks at schools in Lebenei and Lavateri and also scoped (measuring and designing) a sufficient number of other schools sites to provide planned projects for at least another two Team visits. 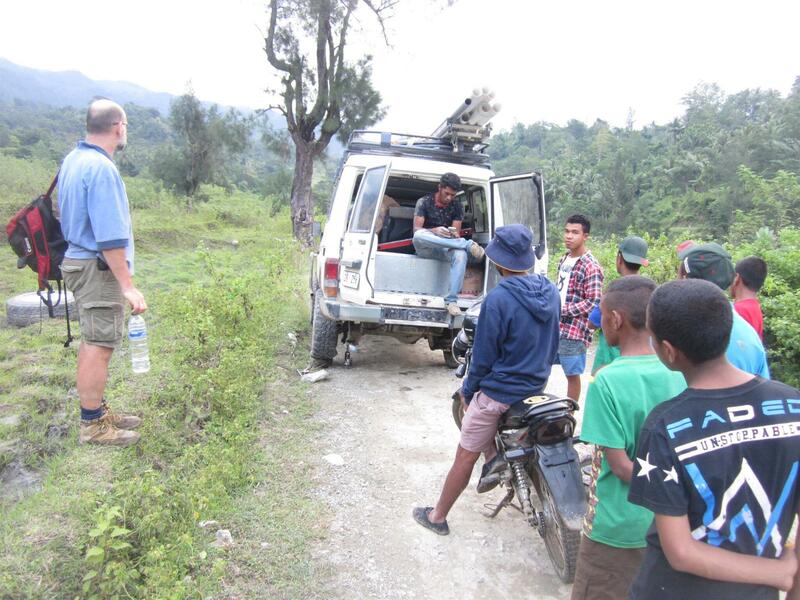 Leo Guterres and the local Baguia community including the Sub-District Administrator. It is not possible to overstate the co-operation and assistance that we receive from Leopoldina Guterres in connection with this program and without her very generous support and co-ordination work it would be extremely difficult for us to carry out this project. Thanks are also due to the Member Clubs of the Consortium without whose generous financial support this program would not have become a Major Project and it is only because of this support that we finally secured the Global Grant form the Rotary Foundation on the 1st June 2018.